I love to barter with other artisans and crafters at shows and fairs. There it is. Now you know another of my secrets. Often, bartering is the only way I could afford to treat myself to some "want" I have and couldn't purchase... yet. At our final show of the year last weekend, I met Felecia Bowen whose boyfriend, Joe, creates the coolest deer, snowmen, and owl sculptures from tree log and branch segments. (If you are reading this and have a webpage where people can see images of your creations, please let me know, so I can link it for you.) 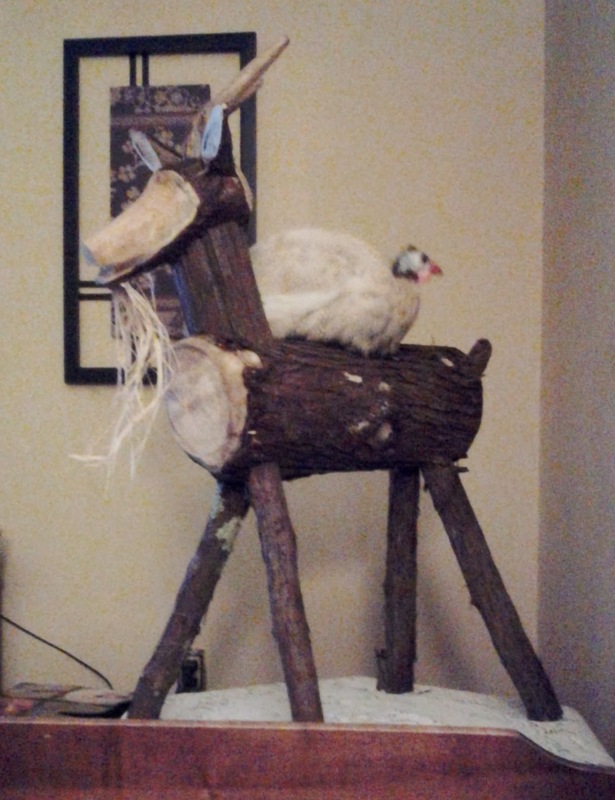 I had to have a goat made for us. When Felecia came over to browse, I asked if Joe might create a goat for us- "Jedidiah" style. And, we negotiated a mutually beneficial trade. I can just picture him on our display table with baskets of our goat's milk soap surrounding him for the 2014 shows. Perhaps a small, tasteful chalkboard tag with our price hanging from an ear or displayed between his horns? When I look for items to decorate our displays, I want items that draw attention and also make me smile. He sure does both! 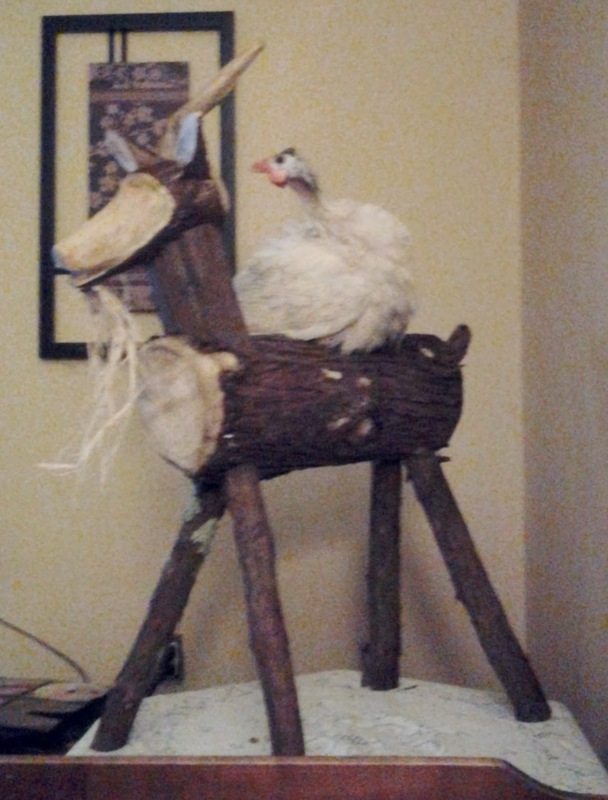 Which only goes to show if you have goats, even wooden ones, be prepared for the mischief that follows them. And, if you are blessed enough to have both goats and guineas? Forget about it. Thanks for popping in for a visit. I'm glad you came.